San Jose, CA—ProGrade Digital expanded its portfolio with the premium line of V90 cards. The V90 memory cards step up performance to a sustained read speed of up to 250MB/sec. They also offer a sustained write speed of 200MB/sec. 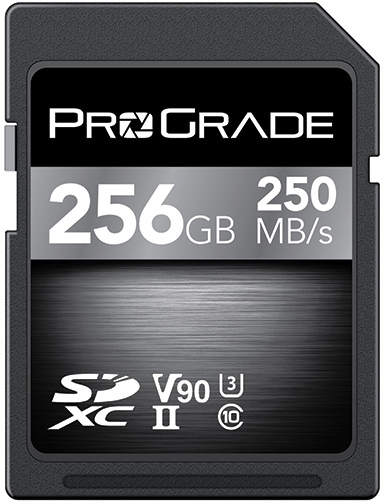 ProGrade Digital is a provider of professional grade memory cards and workflow solutions. ProGrade Digital V90 SDXC UHS-II, U3, Class 10 cards are engineered to work with upper end DSLR, mirrorless, camcorder and digital cinema cameras that produce rich data streams. The V90 cards’ elevated performance is designed to ensure faster capture during data-intensive processing. 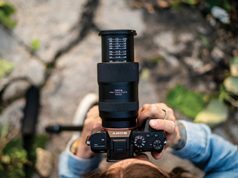 Notably, this pertains to the Panasonic GH5S, Panasonic AU-EVA1, Canon Cinema EOS line and Canon EOS 5D Mark IV. 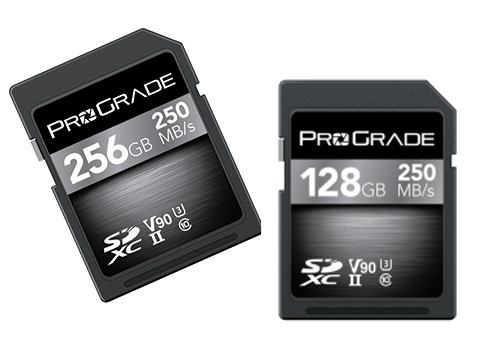 The SDXC UHS-II cards come in 64GB, 128GB and 256GB capacities and will be available in May. 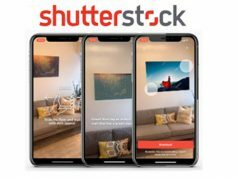 “Today’s creative pioneers are producing more video than ever before,” said Wes Brewer, founder and CEO of ProGrade Digital. The V90 line’s high-performance speed has been verified to perform at a sustained read rate of up to 250MB/sec as well as a sustained write speed of up to 200MB/sec, added Brewer. The V90 cards are also video (V90) tested and certified to perform at a minimum 90MB/sec sustained recording rate. 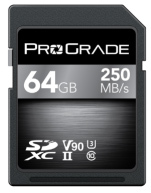 ProGrade Digital V90 SDXC UHS-II, U3, Class 10 cards come packaged in a jewel case in a sleeve. Moreover, they have a three-year warranty. The cards will be available at the following suggested retail prices: 64GB, $99.99; 128GB, $189.99; and 256GB, $379.99. CFast & SD Dual Slot USB 3.